Dr. Scott G. Downing has served in full-time ministry for 30+ years. He is currently serving on the pastoral staff at First Baptist Church Atlanta, GA. Dr. Downing’s passion is to help the church understand biblical prophecy and its impact on culture, business, family and individuals. The first avenue of accomplishing this is through weekly bible studies such as “Engage” on Wednesday nights and Sunday Morning Bible Study at First Atlanta. The second avenue of accomplishing this passion is prayerfully achieved through writing timely discipleship curriculum such as his most recent book: God’s Unfolding Purpose and Unfailing Power. The third avenue is through speaking engagements, where Dr. Downing breaks down potentially complicated prophetic and theological concepts into modern, understandable terms. The fourth and final avenue of pursing this passion comes through the simple commitment to post seasonable and applicable content to this site as well as publishing a bi-monthly email newsletter by the same name, Prophecy In Perspective. Dr. Downing earned his undergraduate degree in Philosophy and Religion from Florida International University, Miami, Florida; his Master of Divinity degree from Colombia Theological Seminary, Decatur, Georgia; and his Doctorate of Ministry from Luther Rice Seminary, Lithonia, Georgia. In addition to being a student of God’s Word, communicator and pastor, Dr. Downing is a loving husband, father and grandfather. If you are interested in ordering books or booking Dr. Downing for an upcoming event, click here. If you would like to subscribe to Dr. Downing’s bi-montly newsletter via email, click the Follow button located on the side bar. To view archived newsletters in your browser, click here. Just wanted to let you know that I am praying for you to continue in God’s work and I gain much needed wisdom from your newsletters. It relates the scriptures to what is happening in the world today. Thanks for helping me understand God’s truths. How do I receive your news letter? Thanks for your request! We will be blessed to include you on our mailing list for Prophecy in Perspective, prayerfully the next issue will be coming out in two to three weeks. Meanwhile, I will try to submit more articles on my blog in the next few days. Thank you for your question Chris! Spiritual Formation is associated with Contemplative Prayer techniques which encourage Christians to “listen” to God through the practice of different “spiritual disciplines.” These techniques are not taught in the Bible but arise through the current teaching of many today who encourage many of the practices of the ancient desert hermits and medieval monastic contemplative practitioners of the Roman Catholic Church. Another term associated with Spiritual Formation is: “Contemplative Spirituality.” This movement and teaching is part and parcel of the post-modern, and, in my view, post-biblical, Emerging Church movement, which is basically a channel for the dissemination of Spiritual Formation concepts and practices. Much unhealthy New Age teaching is influencing this trend as well. Often Contemplative/Meditative/Spiritual Formation will involve the practice of setting up and walking through labyrinths where there will be “prayer stations” which might have candles, icons, and pictures where the person may meditate. Meditative prayer is encouraged through repeating a verse or spiritual phrase. “Entering into the Silence,” is a discipline by which the Spiritual Formation practitioner might experience the “presence of God” and actually “hear” God speak. This is very dangerous as it clearly suspends the Bible’s command to “believe not every spirit, but try (test) the spirits, whether they are of God” in 1 John 4:1 and to “prove all things, hold fast that which is good,” in 1 Thessalonians 5:21. The Spiritual Formation movement has influenced many authors, publishers, preachers, ministries, theological schools, and even denominations. Here is a short list of some who are currently advancing Spiritual Formation teachings and methods. Some Spiritual Formation/ Emerging Church authors and books include: Richard Foster, The Celebration of Discipline; Doug Pagitt, Church Re-Imagined, published by Zondervan; Brian McLaren, A Generous Orthodoxy, also published by Zondervan; Leonard Sweet, Postmodern Pilgrims, published by Broadman & Holman; Rob Bell, Velvet Elvis, published by Zondervan; I would also include in this list a caution about Sarah Young’s, Jesus Calling, published by Thomas Nelson, and there are many more! Others involved in their teachings and writings in advancing Contemplative techniques and teachings are: Beth Moore, Bill Hybels, Brennan Manning, Calvin Miller, Dallas Willard, Dan Kimball, Doug Pagitt, Tony Compollo, Eugene Peterson, Henri Nouwen, J.P. Moreland, John Eldredge, Ken Boa, Mark Driscoll, Philip Yancey, Richard Foster, Rick Warren, Rob Bell, Thomas Merton, Walter Brueggemann. Is there a possibility that you could put the Follow Blog widget in your site’s sidebar? I seldom read the blogs through the WP Reader but love to receive new postings through my email where they will get timely attention. So excited about all the current events surrounding us! So grateful for your newsletters! Please keep them coming. I forward them on to friends and family and they are very much appreciated! Love you Karen and Scott. The Lord put you on my heart to pray for you. Let us know how you are. 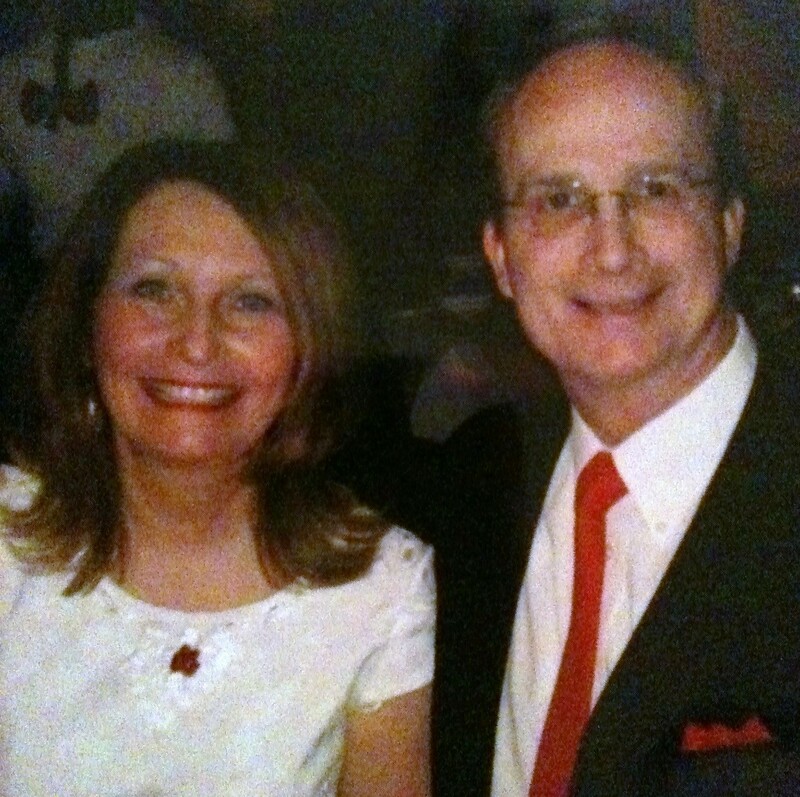 Sandy and Glenn Rusher would love to hear from Dr. and Mrs. Scott Downing.